Today, as I pulled out a poofy pink dress, I realized I have nearly a dozen UNWORN dresses in my closet. Oops!!! But alas, I will wear them, one day. (Isn’t the first step to admit you have a problem??????) This one was NOT on my “buy” list at all. In fact it’s been on sale for months and I’ve always gone “naw, I have the pink Roset dress, they are the same colour” and passed. Then it showed up on super sale, in my size. The husband said “buying it, if you hate it you can return it”. (He decided he loved it. Why I ever question him, I do not know) Well, low and behold, that funky side bow isn’t quite so funky after all! 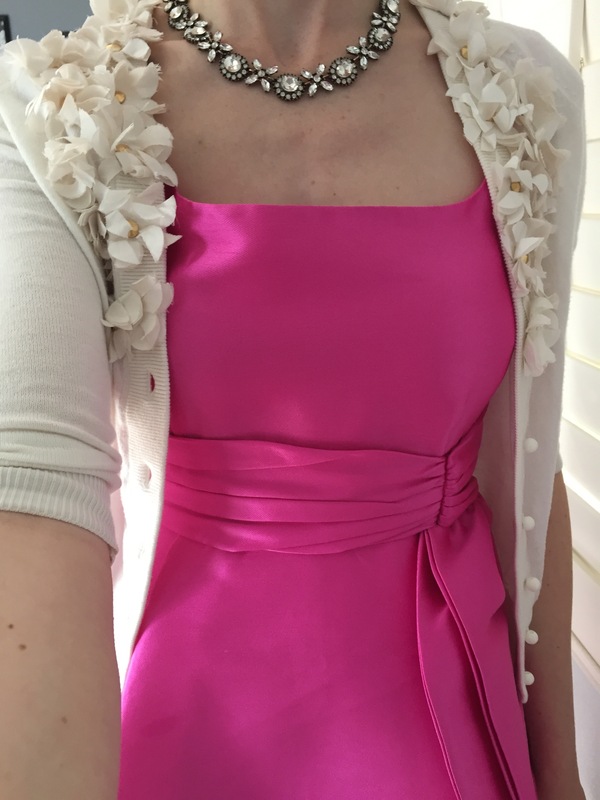 (It’s also hard when you can’t find a photo of anyone else wearing the dress and your local Neiman’s never carried it) AND its a different shade of pink than my Roset dress. It’s more of a rose pink vs the bubblegum pink. 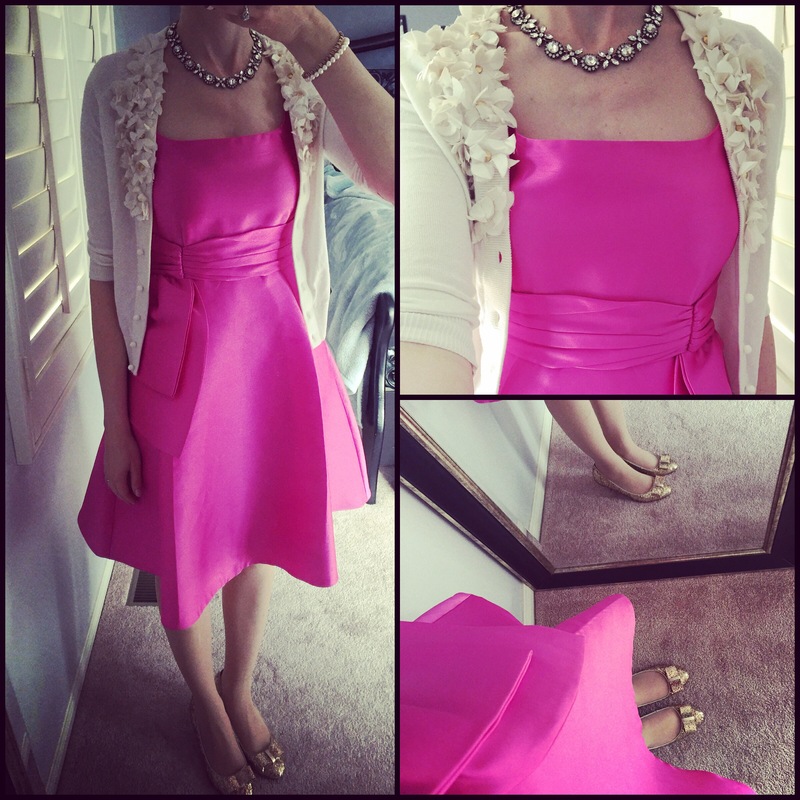 I wasn’t feeling cheerful this morning, but it was hard to not be slightly cheerful when wearing such a bright colour! I’m really dreading the dentist tomorrow, and the interesting treatment plan we have. Yet also thankful it is covered by insurance, something very unexpected. I imagine I will be slightly wonky the rest of this week!!! 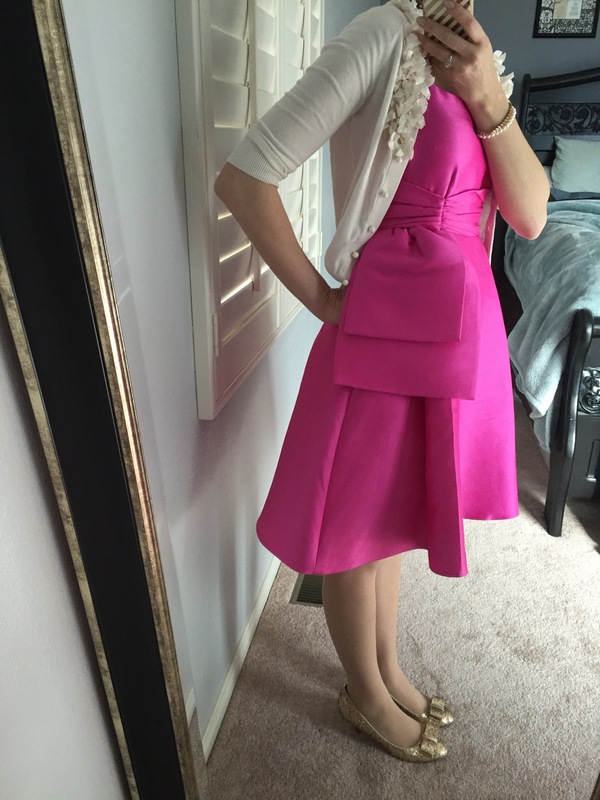 This entry was posted on January 26, 2015 by katespadegirl. 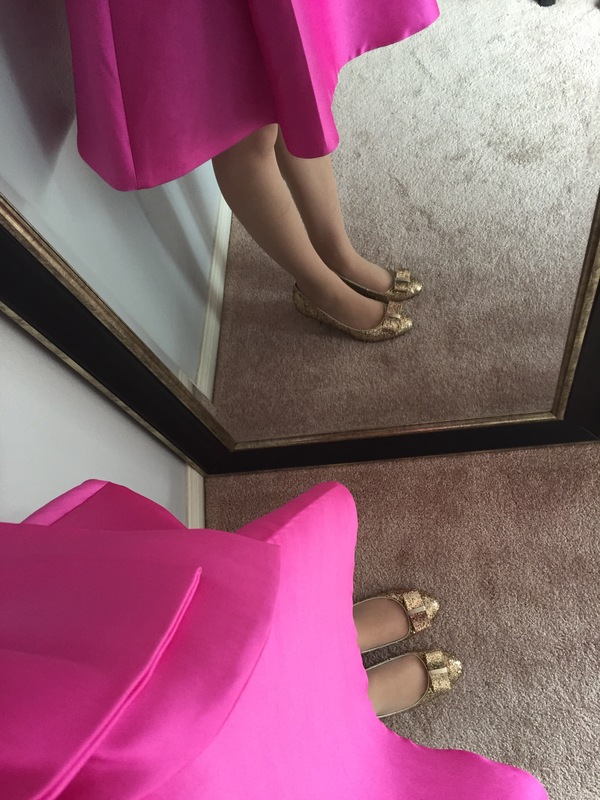 It was filed under Outfit of the Day and was tagged with Glitter shoes, kate spade cardigan, neiman marcus kate spade dress, pink kate spade dress. Thanks!!! It is a fun one!!! I do love this one. I’m constantly wondering if I should pull the trigger on it!! Love that cardigan with it too!! Doooooo it!!!!!!! The bow is super crazy, but it super works!!! 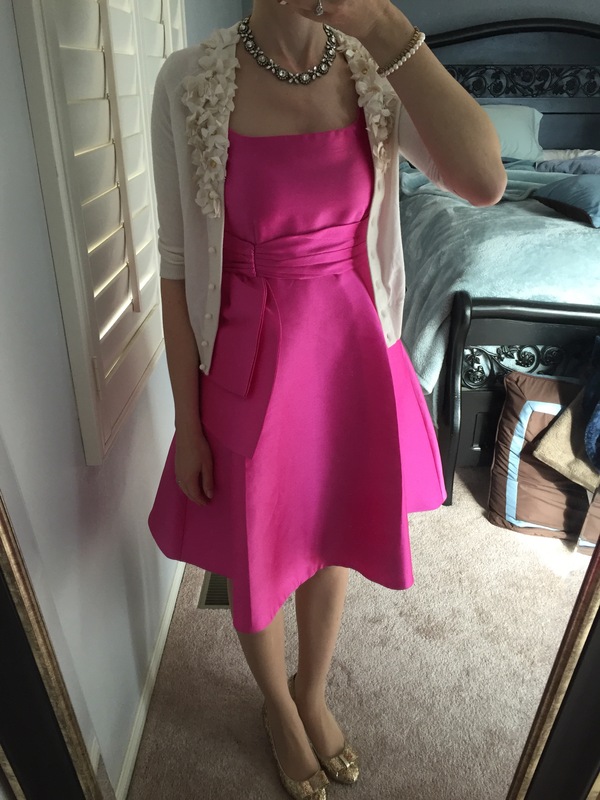 I just bought this dress today pretty much entirely because of how much I liked it in this post.